During the Dalai Lama's visit to Estonia, discussions on the importance of preserving Tibetan culture and appeals to make decisions without Chinese influence. The Tibetan spiritual leader is due to meet president Toomas Hendrik later today [August 17, 2011] and discuss how the country can make decisions without falling under the influence of China. The Dalai Lama was invited by the Estonian Institute of Buddhism and the Riigikogu Tibet Support Group, the Estonian Parliamentary group for Tibet and it is seen as a significant visit by His Holiness. 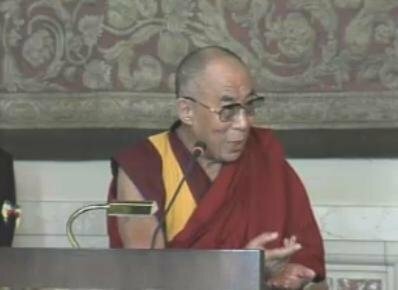 In his speech following his arrival, the Dalai Lama remembered with warm words his previous visits to the country in 1991 and 2001. He said: “I love Estonia and the Estonian people for their courage and their bravery,” referring to Estonia’s long struggle for freedom and democracy from its authoritarian Communist rule. Early suggestions had in dictated that four Estonian ministers were to meet the Dalai Lama. Sven Grünberg, director of the Estonian Institute of Buddhism had then made an open appeal to the Estonian government, urging the leaders of the former communist nation to make its decisions independent of China’s influence. Following his arrival, His Holiness the Dalai Lama met with members of the Institute of Buddhism, scholars, representatives of various non-governmental organisations, and members of the Estonian Parliament.